Do you want to manage your music without iTunes Sync? Or maybe you want to organize your music in folders? No worries, we have the perfect solution for you! 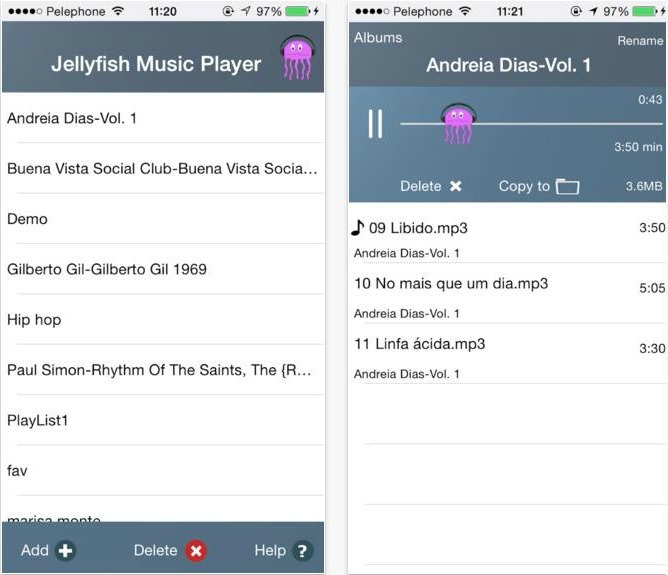 We’re talking about an app that combines those two things, called Jellyfish Music Player. Created by TeleStar, the app shines with useful and unique features and wonderful smooth user interface. If you own an iPhone you are familiar with the problem when you try to use and transfer music without iTunes syncing. 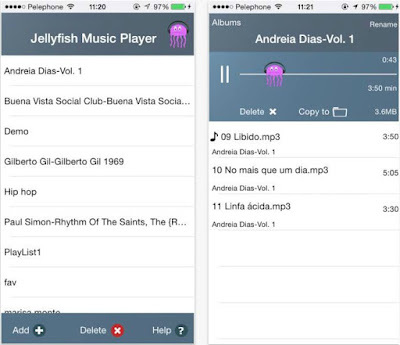 If you are not comfortable with using the iTunes sync option, the Jellyfish Music Player will certainly help you. All you have to do is download the app, transfer your audio files from your computer with File Sharing and copy the files from your PC directly to your phone using your USB. When you’re done with this simple process you can easily manage your music within the app, arrange the songs in folders and listen to it whenever you want. Sounds enjoyable, right? The app is free of charge for a trial period that lasts 30 days. When the trial period is over you can keep listening to your tunes that you’ve already transferred, but you can’t add new music. Upgrade it to the unlimited version and enjoy its complete features. Get it today from the App Store!